I've been a resident of Cebu, Philippines for so many years but I only got to know this island recently. I'm glad I got to visit, or else I wouldn't be able to realize that there are so many travel treasures around that's actually just within my reach. 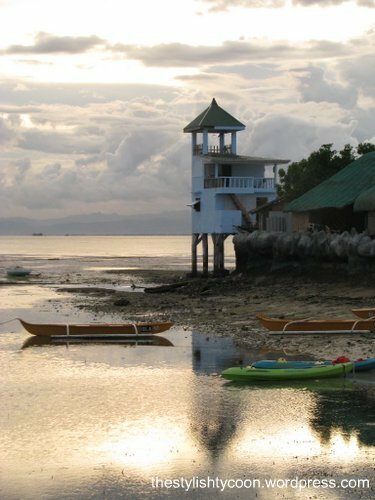 This island is only 30 minutes away from Mactan, Cebu by ferry. This was taken from our room's balcony. 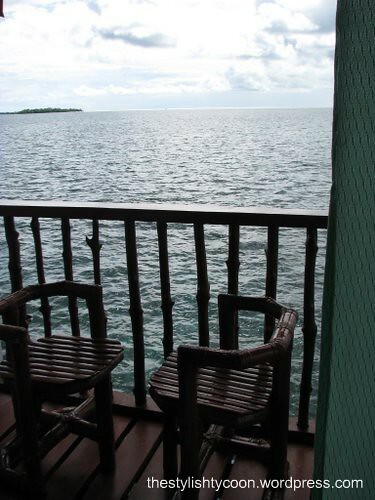 When you wake up in the morning, you could go outside and see the pristine waters enveloping the island. Sometimes you even get to see fishes swimming around as you look down from your balcony. They have lots of water sports available. You could go kayaking, banana boat riding, snorkeling and diving among others. You could also choose to arrange for a boat to take you to nearby islands. They have their own dive shop to assist you with your needs. You could rent the gear that you need from there. I guess the fish there at Nalusuan are already very tourist-friendly. They don't shy away from humans when approached. In fact, when you swim in the water they surprise you by swimming around you! Try bringing bread with you, and they'll eat it right off the tips of your fingers. 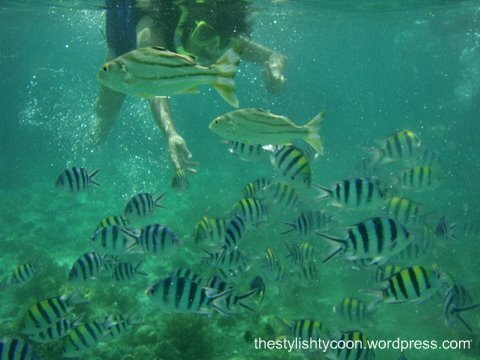 For those who are more risk averse, Nalusuan has a sea pool where you could find various kinds of sea creatures taken care of by the local staff. They have fishes, turtles and even small sharks in that pool. Don't be tempted to dive in though. It's actually not allowed. You could enjoy the view from the poolside. The fishes are very eager to welcome you anyway. nice! how much did you spend for the whole trip?